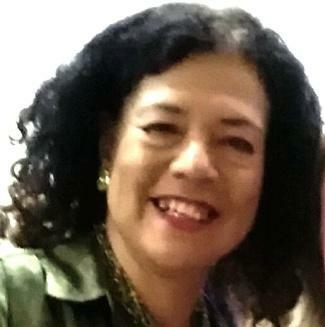 This is me, Angelica Lima Miller, a professional language teacher with an RSA Diploma, and more than 20 years experience teaching English and Spanish to foreigners. Born in Lima, Peru, I’ve lived in Spain most of my life, with a 2-year stay in Britain in between, and I’ve been doing Skype classes for the last 5 years. I believe that my style of teaching is suited to all levels as I adapt to my students needs and interests, whatever their age or origin, and I tailor my materials accordingly. Also, grammar is one of my strengths, and I can provide a clear explanation that will dissipate your doubts. My objective is to improve the Spanish of my students in a fast, efficient and fun way. I believe that learners advance quicker with a higher frequency of lessons but there is no fixed timetable. However I do recommend a minimum of one lesson a week for optimal learning with additional time devoted to self-study. The lessons are available from anytime between 10.30 am and 9pm Monday to Friday…..other times by agreement. The best way is to find out whether this method of learning of Spanish suits you, is to do a 30 minute “taster lesson”. In this way the student can find out what to expect, before making any financial commitment. I am also able to make an assessment of the student’s level of Spanish and preferred learning style. Call us on 0034 655 217 149 or write to us via the www.langmasters.es website for more details.